This is a Mass Effect Andromeda guide. Here you will find details on Military pods. Military veterans from across the Milky Way have brought their expertise to Andromeda, including advanced combat training and wilderness survival skills. Friends in the Systems Alliance make sure the Pathfinder’s crew is always well-equipped. Receive a drop of consumable supplies at regular intervals. Hunting Parties Expert combatants seek out Heleus wildlife to learn the best strategies to survive encounters. Receive organic materials at regular intervals. Special Forces Highly trained squads venture into kett territory to test their defenses. Receive tech materials at regular intervals. Reconnaissance Nexus engineers attach long-range sensors and monitoring systems to Initiative forward stations. Reveal hidden caches around established forward stations. Increases the number of Nexus security forces to allow the Initiative to insist on military training for colonists, boosting their confidence in dangerous situations. Gain a 10% bonus to XP gained for completing encounters. Nexus security develops a method for squads to carry more gear into the field. Unlocks one extra consumables slot. Versatility Nexus security develops a method for squads to carry a larger variety of gear into the field. Unlocks one additional consumables slot. Apex Tactics APEX adds new tactics to their repertoire. Earn 15% more credits for APEX missions. Advanced maneuvers and strategies make APEX even more formidable. Earn an additional 15% credits for each completed APEX mission. Ears to the Ground APEX is equipped with the latest in field surveilance gear. 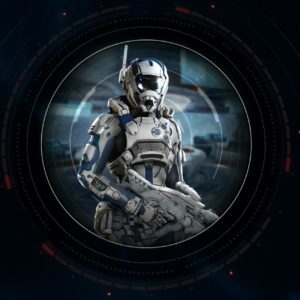 A 20% chance to receive weapons or armor when an APEX mission is completed. Viability of 90% required on Voeld.